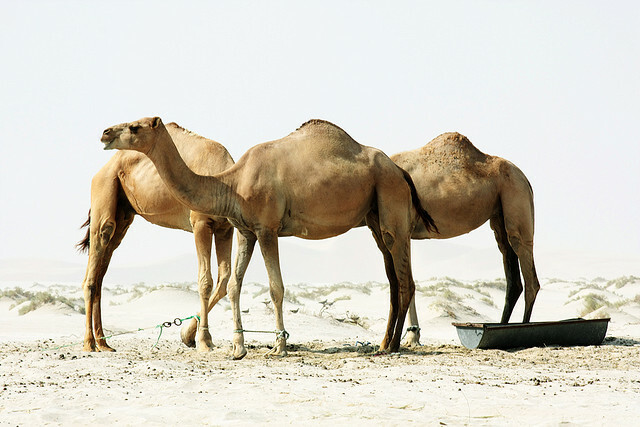 Camels have been in the news this week because camel milk is increasingly being recognized by the Food and Agriculture Organization for its health benefits. Since the drought in Kenya is killing so many cattle, in an effort to commercialize camel milk and make it widely accessible to consumers, a small group of women in the town of Isiolo have got together and formed a co-operative. As a consequence they can now send their milk to Eastleigh, the Somali enclave in Nairobi, where camel milk sells at more than three times the price of cow's milk, and they appear to be doing very well. It is believed, too, that camel milk can make your skin feel silky, leading several small business owners to create their own beauty products using it. 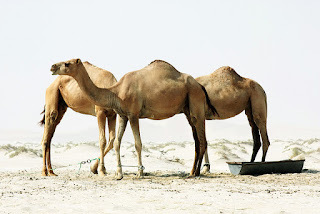 Camel milk is now a growing industry with great potential to thrive, and although it is supposed to be delicious in a cup of tea, I think I will stick to dairy milk in my PG Tips. strew the carpet with bits of herself. with tears for the loss of her. In the spring, Sandra met her. now has her job, she said. She is brilliant, everyone loves her.